SEOUL, South Korea — The Internet Corporation for Assigned Names and Numbers (ICANN) has voted to allow non-Roman characters into web addresses, but it won’t be cheap. ICANN voted in Seoul, South Korea, this week to approve the measure, which will open up the web to the “100,000 characters of world languages” that haven’t been supported all this time. But acquiring a non-Roman URL won’t be as easy as typing a few words into GoDaddy.com. Registries that choose to offer the unique URLs will have to pay ICANN $26,000 up front and contribute money annually. Registries that move a lot of volume will be expected to give 3 percent of their money to ICANN every year, while smaller companies will only have to give 1 percent. The measure marks a sea-change in how the Internet works. To date, Internet servers have only been able to interpret URLs that include the 26 letters of the English alphabet, as well as the numbers 0-9 and the hyphen. That will change as all servers will have to add support for characters from dozens of new languages, including Arabic, Persian, Russian, Hindi, Greek, Korean, Hebrew, Japanese, Tamil, and both simplified and traditional Chinese. The Fast Track process launches on Nov. 16. 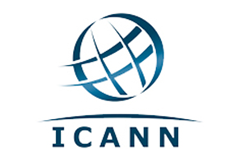 ICANN expects to approve the first non-Roman URLs by the middle of 2010. But will these new URLs be a boon for online hooligans? Spammers might be able to exploit this new option to buy phony domains that look like larger domains. For example, a phisher could simply add a non-Roman character to a common domain like Google.com and wind up with a web address that not only looks like Google at a glance, but that also has a dot-com ending.